Ahhh a sigh of relief just left my body as I’m sitting here typing this because I’m so happy to be done with this pregnancy. It’s been a very long 10 months… carrying babies is no joke! I planned on having this up before Archer made his arrival, but if you read our birth story (here) then you know why I didn’t get a chance to finish this post! Haha. I’ve done a post on each of my trimesters and I’ll link them below if you’re curious! This last trimester has been full of emotions, which didn’t differ too much from my pregnancy with Aria. 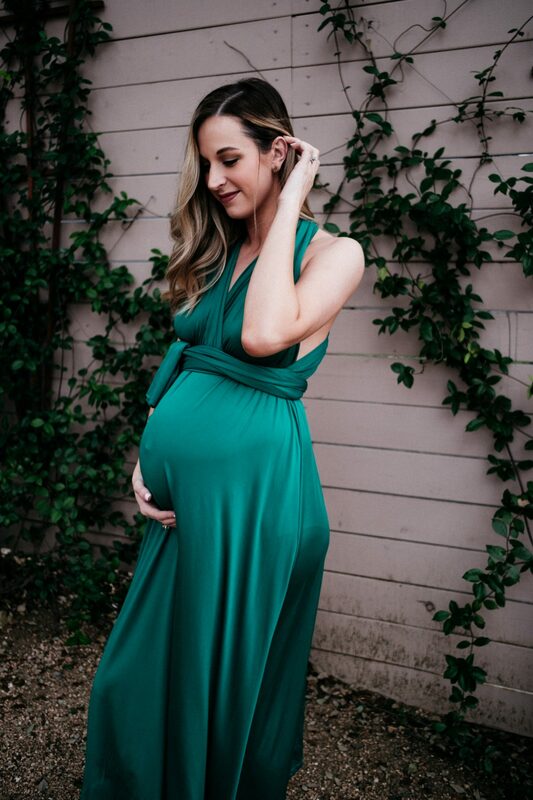 I got SO emotional during the third trimester and with Aria, I think I cried at least three times a week starting at 36 weeks (she came at 41)! Haha. During this trimester I was emotional for different reasons and definitely not as severely as I was with Aria. My whole outlook during this trimester has been better though because I wasn’t stressing as much and didn’t have my hopes up that Archer would come early like I had with Aria. Overall, the third trimester felt like it went by pretty quickly, thank goodness! Back Pain: My back started killing me around 3 pm and I couldn’t do much of anything the rest of the day. It was so frustrating to want to get things done and not be able to. Mentally I wanted to go, go, go, but physically I just had to sit on the couch and watch Blake do a lot of the stuff around the house. Charlie Horse Cramps: These were so bad at night and when I just moved my foot wrong it was so painful! One night I had such a bad leg cramp that I limped the entire next day! I was so annoyed, lol. Heartburn: This only lasted from about week 35- 36 but thankfully Nexium finally helped! Nothing else did. Dry skin and itching all over: They tested me for cholestasis but it came back negative, thank goodness! If it had been positive they would’ve induced me at 37 weeks to protect the baby. Vivid Dreams: I have the most detailed dreams when I’m pregnant and I can remember almost every detail when I wake up. Lack of sleep: Once I hit 36 weeks, I was up every 3 hours or so having to use the bathroom and usually just very uncomfortable! Peach cups: Never in my life have I eaten fruit out of a cup but ever since Aria was little I’ve always bought her the organic peach cups and put them in the fridge… now I have to buy them for both of us because I keep eating them all! Butterfingers: I’ve always liked butterfingers but I was craving them so bad during this trimester. Raspberry flavoured iced tea: Best thing ever! Coke & Dr. Pepper: Ugh I hated that I was craving sodas because I never drink them but every now and then I’d give in to this craving and omg I forgot how good they are. I could only drink a small cup but it sure hit the spot! Working out: I never felt strong enough to work out during either of my pregnancies. I did go on walks and ride a bike a couple times a week though. Wine: I enjoy wine but I wouldn’t say I’m a huge wine drinker. For some reason though, every time I smelt wine around me I wanted some so bad! Being able to do simple household chores: Why would anyone miss being able to do chores? No idea why but when my house was dirty, I couldn’t do a whole lot about it because it would kill my back. Playing with Aria: It made me so sad to tell Aria I couldn’t pick her up or race her to her playground. I hated it…but I was able to explain to her that I couldn’t because of the baby in my belly and she was always pretty understanding. I just told her that once Archer is here, I’ll be able to run, dance, and jump around with her again. Well if you made it this far, I’m impressed. I enjoy writing these posts and I also know that one day, when I’m having baby fever, I’ll be able to look back on this post to remind myself how much I hated pregnancy, haha! Thanks for stopping by to read you guys! 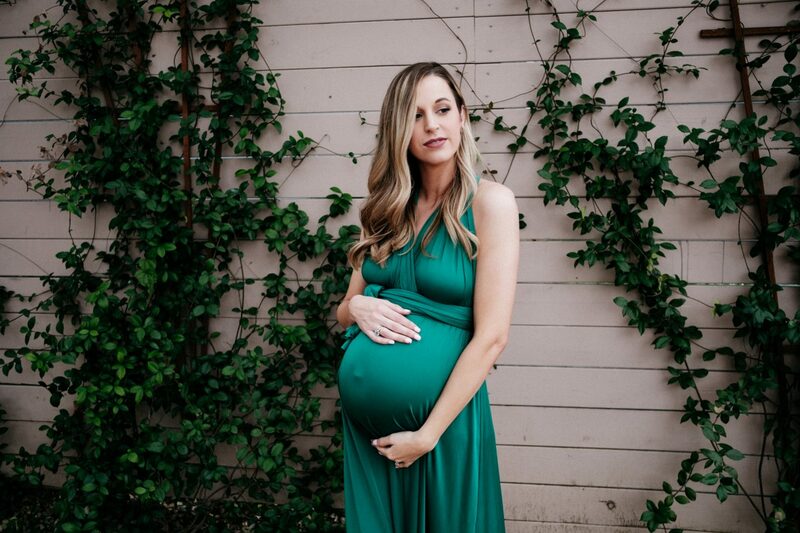 I’ve loved talking to all of you on Instagram about your pregnancy experiences. It’s so nice to have that community there! Love you all.